The American Repertory Theater/Moscow Art Theater School Institute for Advanced Theater Training announce the productions for the 2013/14 Season. Johnny wrote a play before he shot himself. He was in the fourth grade. In Sean Graney’s The 4thGraders Present An Unnamed Love-Suicide, members of Johnny’s class take up his script and act out their own struggles with childhood bullying, body image, and the loss of innocence. The tragedy of Johnny’s death and his poetically troubling wishes for revenge makes this provocative new play a poignant perspective on growing up, peer pressure, and self-worth. Simone has seemingly hit the jackpot with her job as a multimillionaire's personalassistant: she gets all-access use of the Nantucket mansion, an endless clothing budget, and a rich new boyfriend to boot. But when Simone's sister arrives for the weekend and threatens to knock her world out of control, this biting new comedy from Molly Smith Metzler reveals how the luxe life can come at a price — and can hide dark secrets. humanity’s faith in times of war and destruction. A requiem for the dream of peace, this provocative production explores how we learn to love and hate one another, and how we survive in the most difficult of times. Staged by Alla Sigalova, Head of the Movement Department at the Moscow Art Theater School, a world-renowned choreographer and a former judge on the Russian version of "Dancing with the Stars." Shipwrecked on strange shores, Viola has lost her name, country, and beloved brother Sebastian. Disguising herself as the pageboy Cesario, she finds herself drawn to Count Orsino even as shedelivers his love letters to the beautiful Lady Olivia. William Shakespeare’s cross-dressing comedy of mistaken identities, Twelfth Night is a tale of carnival and clowns, music and miracles, and the redemptive power of love that is stronger than the sea. All performances are at 7:30 PM. Packages for all four productions can bepurchased for $45. Single tickets for individual shows can be purchase for $20 each. The Institute for Advanced Theater Training at Harvard was established in 1987 by the American Repertory Theater (A.R.T.) as a training ground for the professional American theater. Its programs are fully integrated with the activities of the A.R.T. In the summer of 1998, the Institute commenced a historic joint program with the Moscow Art Theater (MXAT) School. Students engage with two invaluable resources: the work of the A.R.T. and that of the MXAT, as well as their affiliated schools. Together, this exclusive partnership offers students opportunities for training and growthunmatched by any program in the country. 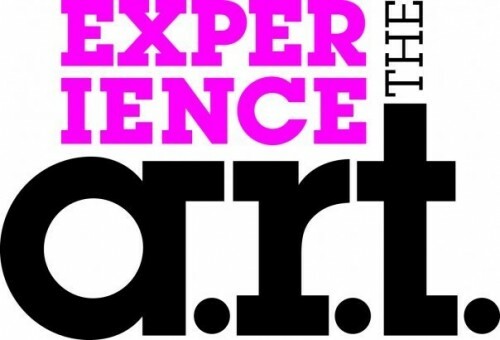 The core program features a rigorous two-year, five-semester period of training in acting, dramaturgy, or voice pedagogy, during which students work closely with the professionals at the A.R.T. and the MXAT as well as with the best master teachers from the United States and Russia. At the end of the program, students receive a Certificate of Achievement from the faculty of the American Repertory Theater and an M.F.A. Degree from the faculty of the Moscow Art Theater School. Further information about this program can be obtained by calling the Institute at (617) 495-2668 or online at http://www.harvardtheatertraining.org.